Even Sweeter Dreams: Happy Halloween! Hi pumpkins! A very happy Halloween to you all! I hope everyone on the East coast of the USA is safe, scary stuff. Saw alot of it on CNN and was shocked by the force of Sandy. 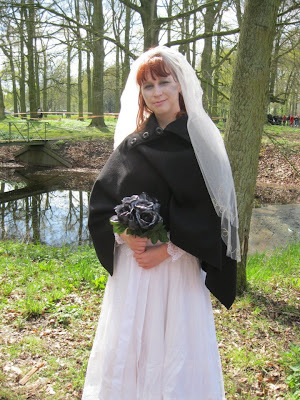 Do you, my readers, celebrate Halloween? And if so, what do you do on this day? Trick or treating? We don't actually celebrate it here in Holland, but it is gaining popularity. So who knows, one day we will be trick or treating too! I have my outfit ready, that's for sure. This tablesetting is pure awesomeness! I hope you all have a good day my friends!! Let me know how you celebrated Halloween ok?! Great outfit! 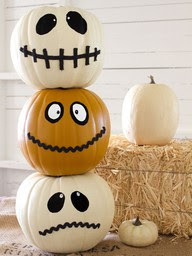 & those pumpkins are adorable! It has been scary seeing what Hurricane Sandy has done... glad I'm on the other coast! Those pumpkins are ADORABLE and so are you!! Nobody celebrates Halloween in New Zealand either! I had candy but nobody came trick or treating. More for me though right! Thank you all for commenting and welcome to my new followers! !